We’re having a rough start to the morning. 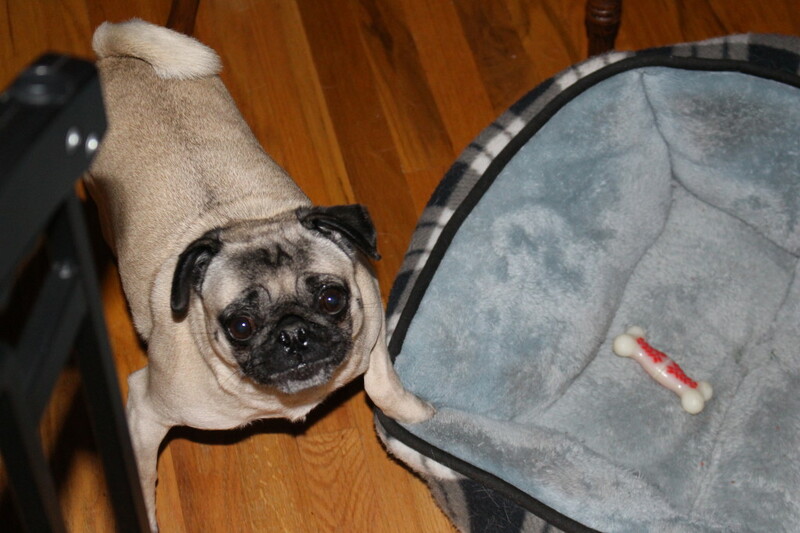 Everything looked in order at first, but when I spun the bed around, it was easy to spot her latest victim. This is Nickie’s “I didn’t just destroy an ink pen in my bed, it must have been somebody else” face. Neither us nor the dog the bed are buying it. However, you can’t stay mad at a face like that. Sometimes a plain old collar just doesn’t do the trick, and you need to mix it up a bit with a new accessory. 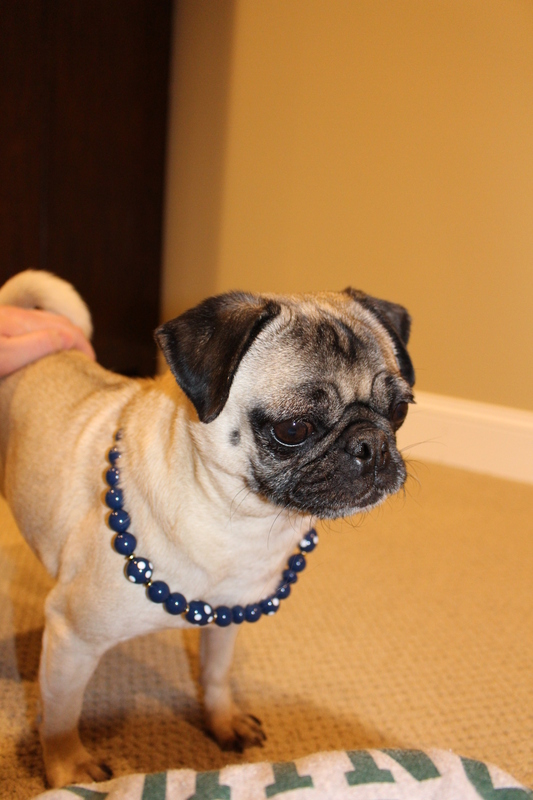 Nickie is ready to start her week in style with a cute beaded necklace. 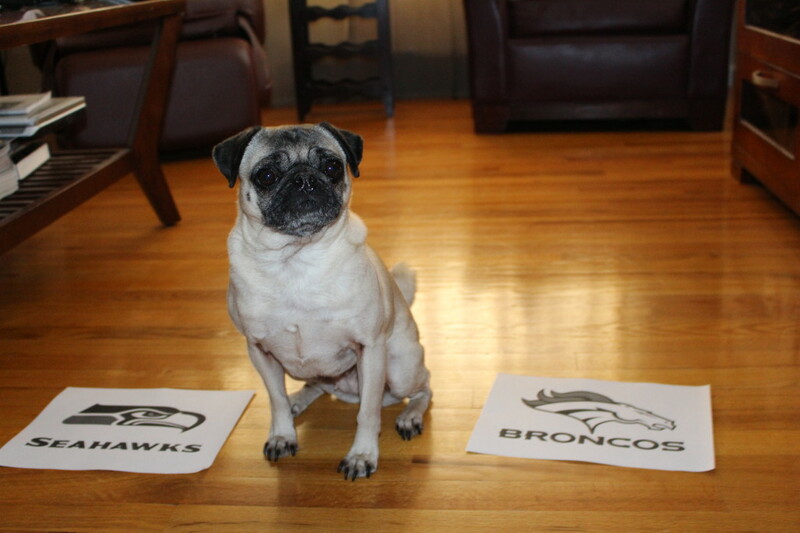 Our pug Nickie is still trying to decide which team to root for in the Super Bowl. We think that she knows she’s going to get tasty treats today no matter who wins. Saturday mornings are the best! 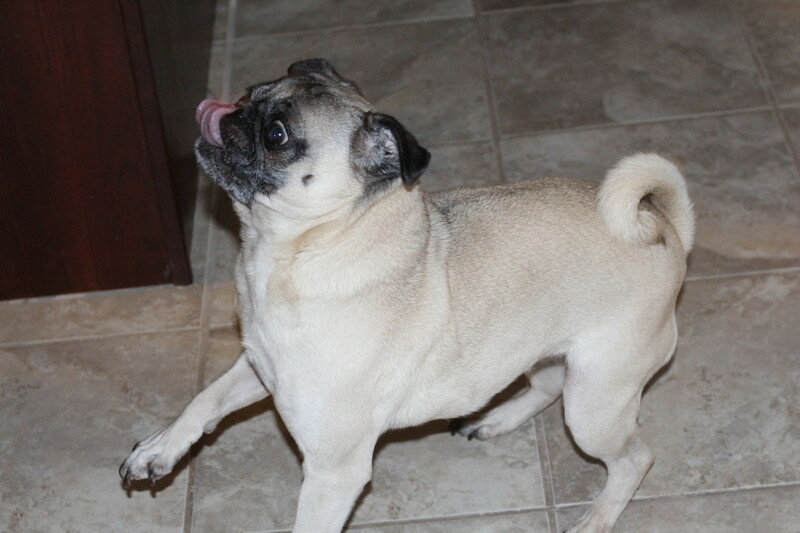 Nickie is so excited that she can hardly contain herself, and is dancing around like crazy. 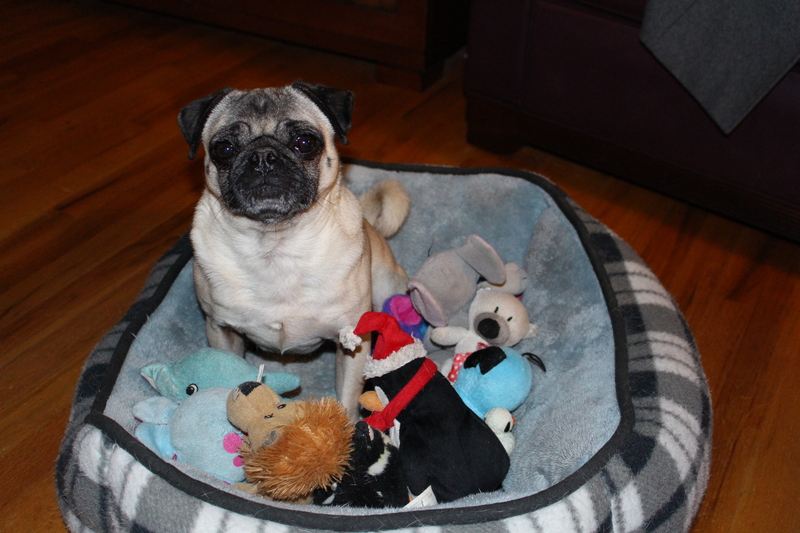 We may have to bear the cold for a walk this morning to burn off some extra energy.